I was busy making a mobile for my friend's baby girl that's on the way. Calvin saw what I was doing and asked for his own, so I made him one of the Solar System. He is really into Wall-E, so this ties into his obsession. I feel bad that this mobile is completely inaccurate, but since he is four and I'm not a Science enthusiast, I let it slide. I think Neptune will be feeling really blue when he finds out. 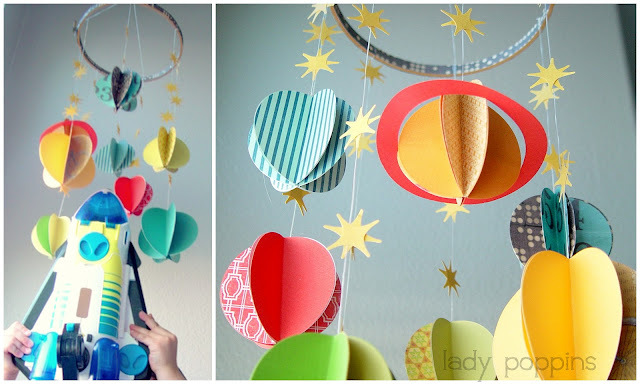 Similar to the Martha Stewart Solar System Mobile. 4. 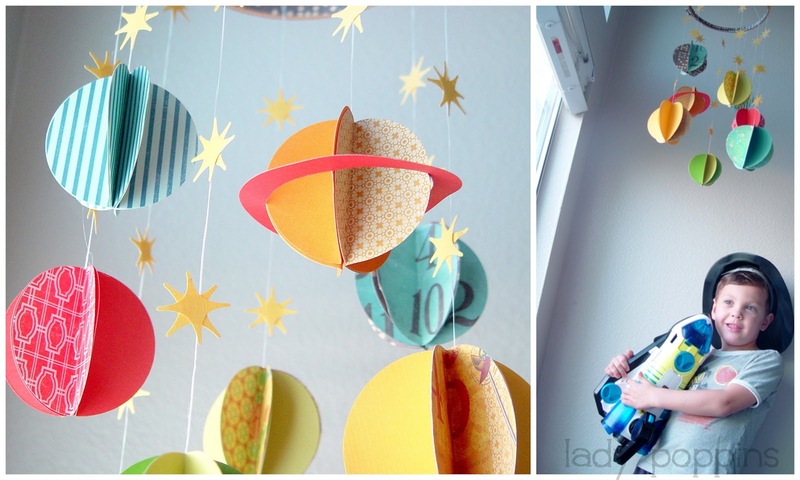 Add floss to planets with hot glue before sealing up the planet and tie onto hoop. Adorable! 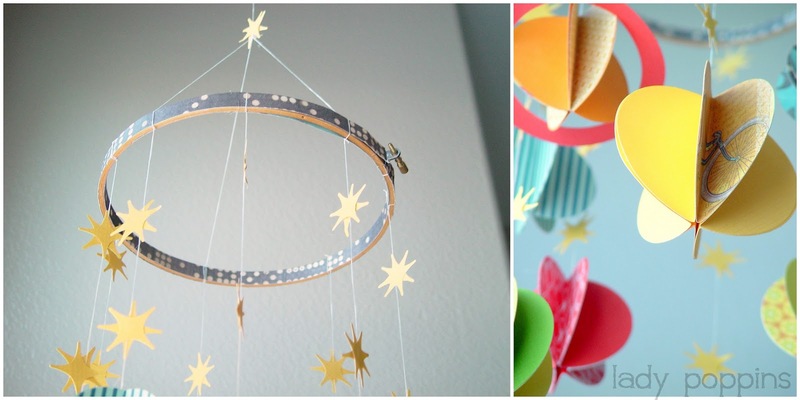 I just happened upon your blog while looking for baby mobile inspiration. Love this (even more than Martha's! HA!) :) Cute paintings too! Can't wait to get started on mine. Thanks! I love it! This would be great for a classroom as well, just for fun. I featured one of your images in this weeks' "Weekend Inspiration." Of course, there is credit and a link back :) Thanks! Thank you so much, Sheila! I loved your post. 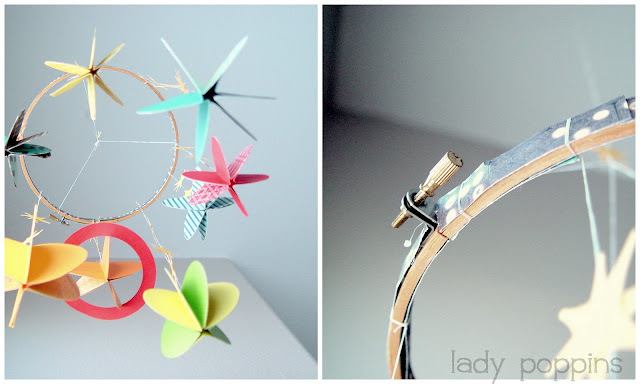 I loved all of the creative uses for embroidery hoops, which are easily found at thrift stores for quarters. I will be coming back for sure!